An automatic garage door system can add a lot of convenience to your daily routine, as well as bolster up the security of your home. When the mechanism malfunctions, however, it will have the adverse effect. This type of system is not only complex, but dangerous too, and mishandling its repair can lead to serious injuries. Our company's technicians are highly skilled at fixing any type of issue these machines can suffer from. We have over ten years of experience replacing anything from broken springs to damaged panels, and we also specialize in performing opener motor repair and various troubleshooting services. We only use top quality replacement parts made by the industry's biggest brands, because reliability is one of our watchwords, and we don't believe in using cheap and unreliable substitutes. We know you don't want to have to wait around for help to arrive. Your time is as valuable to you as it is to us. If you're dealing with a problem and you need a fast response, our team will get to you as quickly as possible. We adhere to a same day service policy in order to be able to provide every local homeowner the assistance they deserve in the shortest time possible. When the day comes and you decide you want to replace your old looking door with a new and improved model, give us a call. We have a wide selection of modern garage doors to offer you, all of which are state of the art in terms of durability, insulation and design. We work with brands like Clopay, Raynor and Amarr, so you can rest assured that all our products are completely reliable and of the best quality available today. 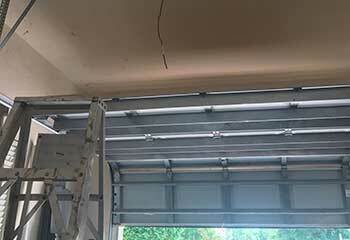 We'll measure the headroom and backroom spaces inside your garage, recommend the best options for your home, and then proceed to install your new door to your complete satisfaction. If your system suddenly experiences a malfunction of any type, you can count on our team to troubleshoot and solve the problem. We know exactly how to handle things like a door that got off track and an opener that won't start or one that keeps reversing. Our technicians will locate the source of the problem and deal with it directly. We'll then check the rest of the system to make sure no other part suffered damage that can hinder its performance. Want to upgrade to a new motor unit? 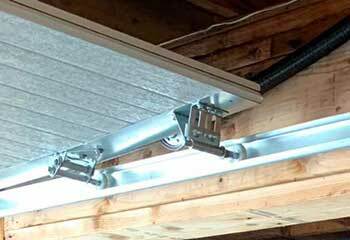 Modern garage door opener models have all sorts of new technological advancements, like WiFi compatibility and a battery backup system. Our team will gladly help you choose between the different belt and chain drive units that we have available, and explain the different benefits each model offers. Then, we'll install the new opener in place of the old unit, and make sure that it can move the door properly and that you know exactly how to use all of its features. With our regular service appointments, we can extend the longevity of your springs, and of the rest of your entire automatic system as well. Our team will make sure all the moving metal parts are lubricated properly, that the alignment of the opener's safety sensors is correct and that the auto-reverse feature is working flawlessly. We'll also check the condition of the cables and the tracks, and repair or replace any part we find is no longer functional. All this (and more) will allow your door to keep working optimally for a very long time. 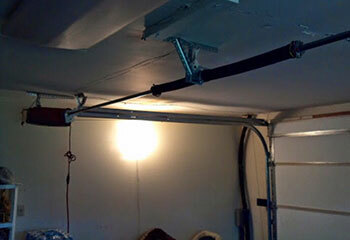 One of the most common problems that you could end up experiencing is a broken garage door spring. These components are probably the hardest working parts of the entire system, so it's no wonder they end up breaking after a certain amount of time. The more you use your door, the closer these units get to their breaking point, and when they do end up snapping, they can seriously injure anyone standing nearby. Making a mistake while adjusting their tension can cause them to break prematurely, and that's why replacing them is something that you should leave to our experts. Check out a few of our latest exciting projects below! A new customer with a new door needed a new opener. Learn the details here. Excessive squeaking and grinding sounds usually mean one thing – roller problems. Learn how we helped this customer with such an issue. This customer's old garage door springs were too weak to function. Find out how our team was able to help. 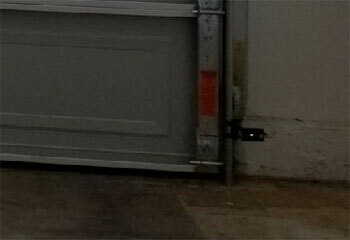 A reversing door is a clear indication of photo eye problems. Find out how our team helped this customer with this issue. I’m so happy I stumbled onto your website when my door opener stopped working. Thank you for your timely response and reasonable pricing. I’ll definitely recommend the service. I’ve never seen anyone work so fast with such attention to detail. Not only did your guys replace our springs, but they also tightened all the nuts and lubricated the system. Excellent job. My garage door went off track, but your crew fixed it in no time. You really know your stuff and charge a reasonable price for your expertise. Thumbs up.